View cart “Study Buddy: Your Study Planner to Success in Pink” has been added to your cart. 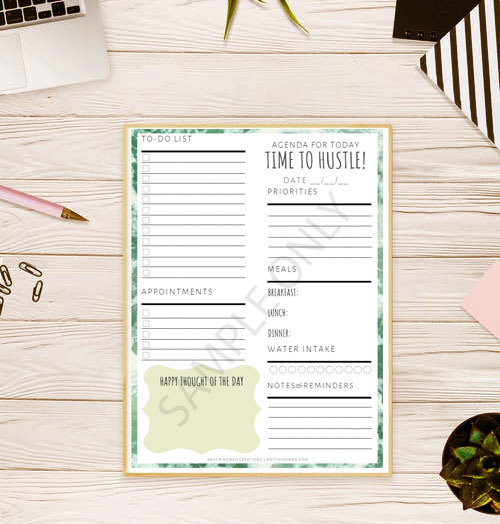 Manage your time to hustle with this simple yet cool-to-the-eyes printable daily planner with borders in the color fern green. 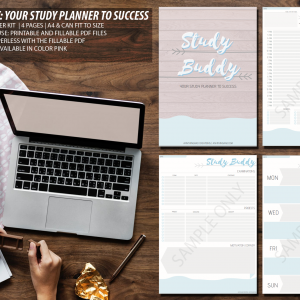 This daily planner has been designed to keep you organized with your daily tasks and set appointments, as well as make sure that you have a priority list in check! Daily meals and water intake are noted for you to be reminded of your body needs. An area is specially placed for your important reminders and happy thoughts, too. This was made to fit A4 sized-papers. This, however, can fit any paper size you prefer as long as you modify the “Fit” of your print settings before printing. You can get this awesome printable daily planner for FREE! This is an INSTANT DOWNLOAD of a PDF file. You won’t receive a physical product.